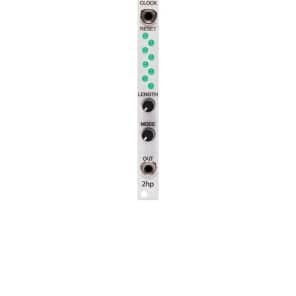 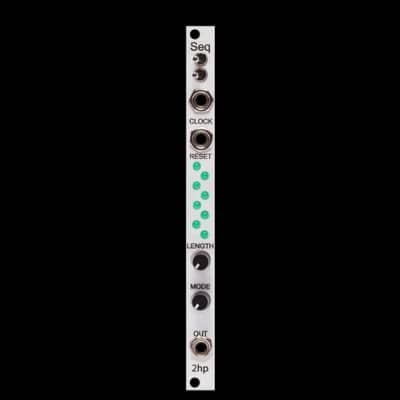 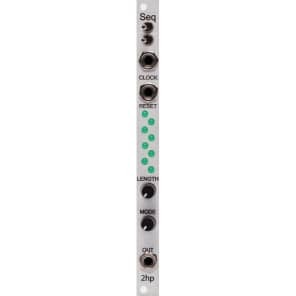 Seq is a 16 step sequencer that is great for controlling oscillators, filters, and anything with a CV input. 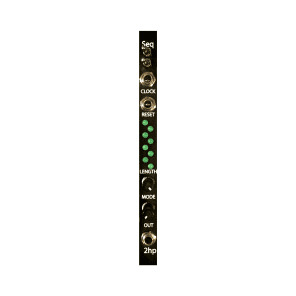 Portamento, length and playback mode can be adjusted, allowing for versatile, and performable sequences. 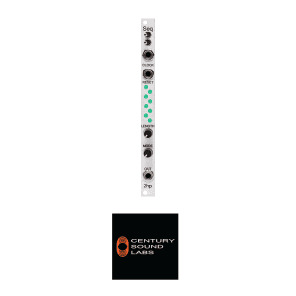 An eight LED display provides clear feedback for each parameter, keeping the interface as simple as possible while boasting a full feature set.